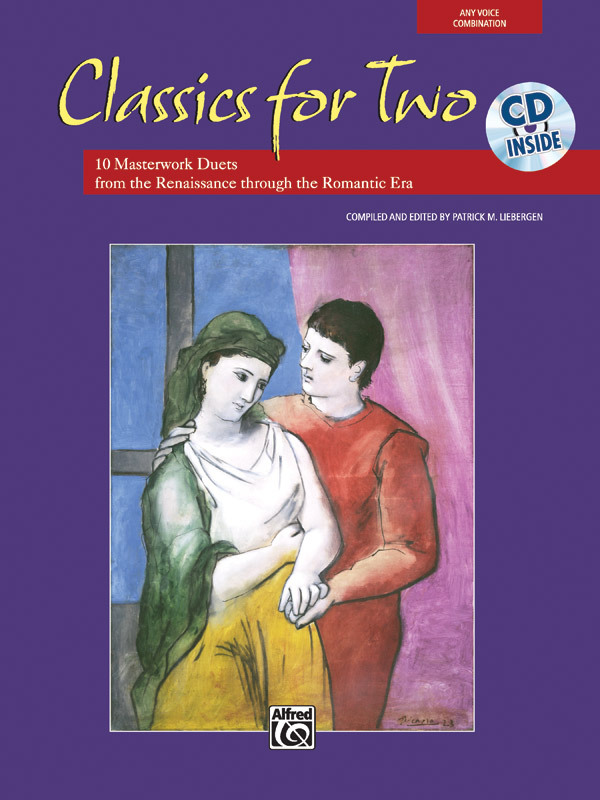 'Classics for Two' features ten duets brought together for the first time in one collection. Representing a wide range of styles and composers, these selections from the Renaissance, Classic and Romantic eras are presented with historical information and suggestions for performance. Additionally, pronunciation guides are included for all songs with non-English texts. selected, edited and arranged by Patrick M. Liebergen, this valuable collection is an indispensable resource for duet singing.